Suppose you do get brave enough to try your first tiered cake. Once all the tiers are complete, how do you safely get one on top of the other? No, it is not a stupid question! If you’ve never done it before there can be many factors that aren’t obvious. 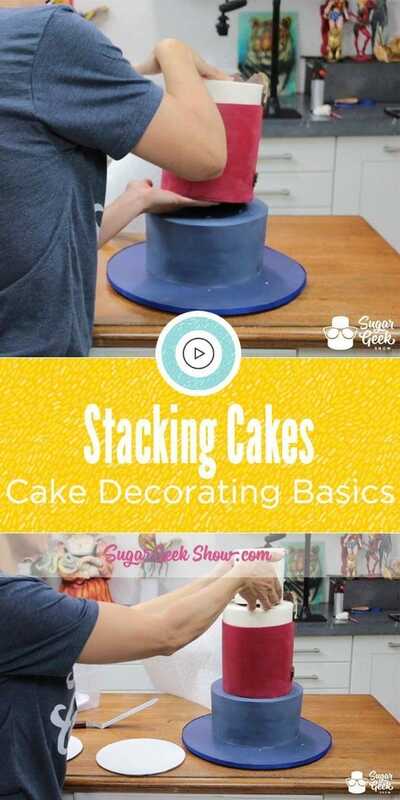 Today we will show you just how to stack your cake. Firstly, and most importantly, to stack a cake you have to make sure any tiers that will have tiers on top of them are properly supported. Wooden dowel rods and straws are the most commonly used supports. Yes I did in fact say straws. Straws are what Liz and I have always used to support our cakes and it has never been an issue. If properly done, straws are plenty strong and a lot more convenient that cutting wooden dowels, just sayin’. The rule of thumb is to put as many supports in a cake as the size of cake it will be supporting. 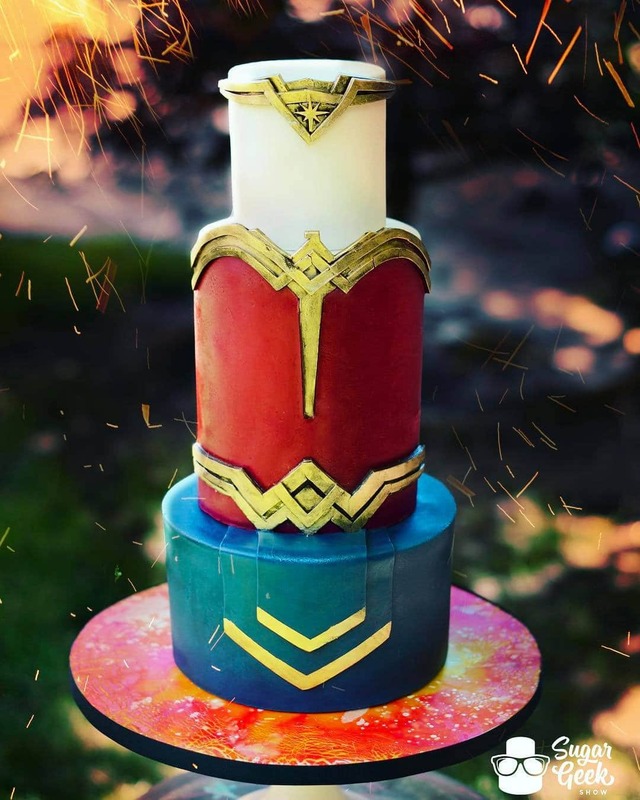 So say you have an 8″ cake for your bottom tier and you will be stacking a 6″ cake on top. 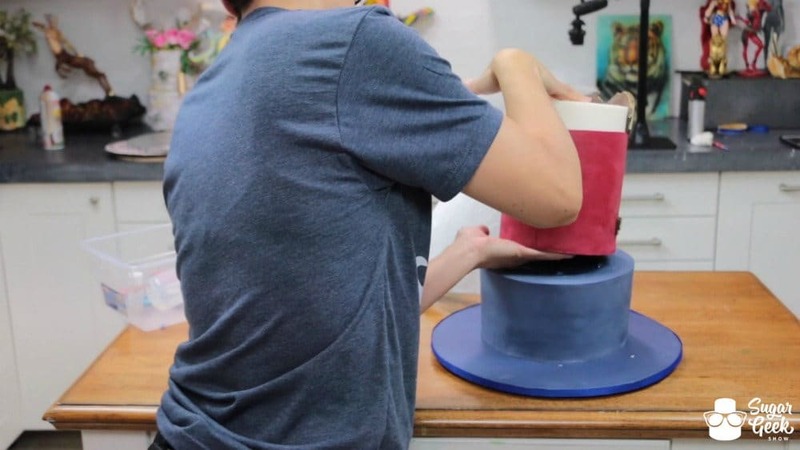 You will want to put 6 supports into your 8″ cake to support the 6″ cake. 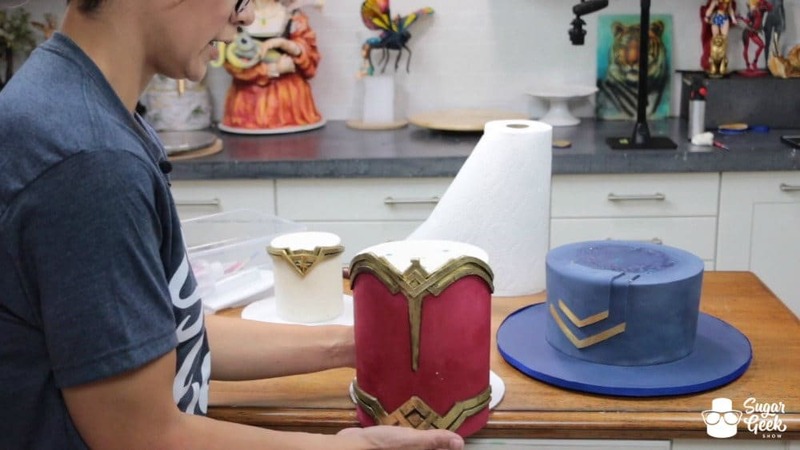 You then would put 4 supports in the 6″ cake to add a 4″ tier on top like the cake Liz is demonstrating in these photos. Straws are spaced approximately 1″ apart. Where do you place the supports? As close to the edge of the cake they will be supporting as possible without them showing. 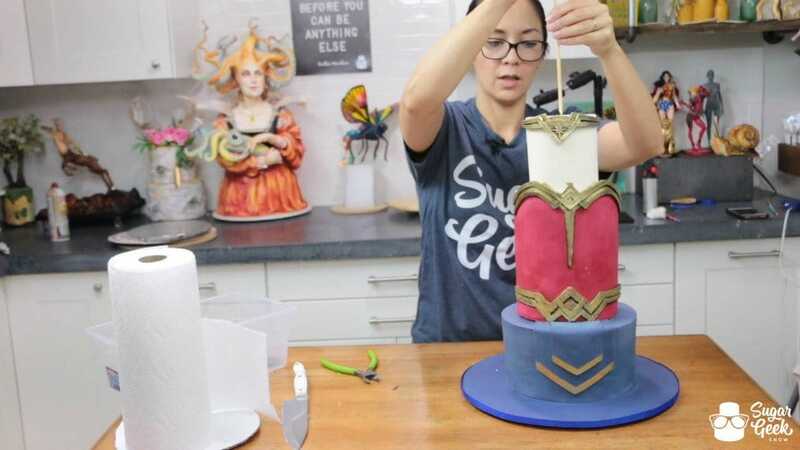 Putting your supports on the outer most edge of your cake will give you the most stability and keep your cake from caving in. Use a cake pan or cake board the size of the cake you’re supporting to trace an indention in the supporting cake so you know exactly where you’ll be placing your cake and exactly where the supports should go. 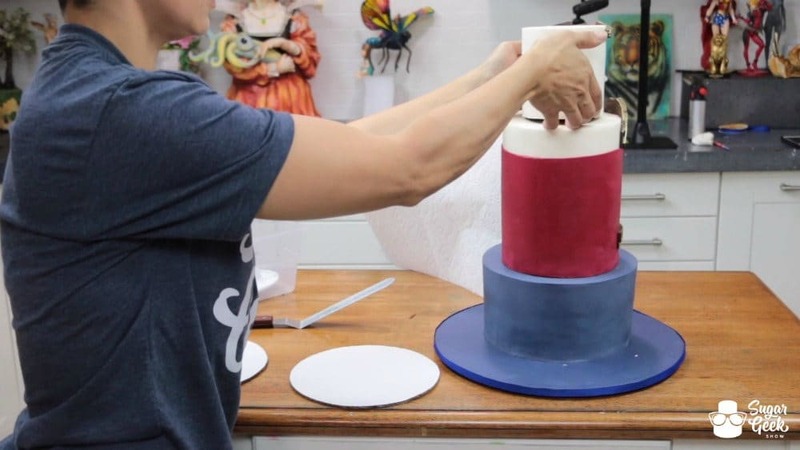 If you’re supporting a large cake, you will be putting in a lot of supports so adding some of them further in the center is a good idea and putting an extra one in the center for good measure never hurt anyone. For a demonstration on exactly how to cut and place the straw supports, check out the Easy Double Barrel Blog Post as it shows how to insert straw supports for any cake. Okay! So once you have your supports all ready to go you are ready to stack! As always, your cakes should be made with real butter in the cake as well as the buttercream and should be chilled nice and firm. Whether you are stacking on site or at home before you travel, your bottom cake should already be placed on your base cake board. Slide your next tier to the edge of the table and carefully slide it off. Having your tiers on an additional cake board makes it easier to not damage the cake while moving it. Supporting the cake from the top and bottom, carefully line your cake up with your traced circle and supports. Place a large offset spatula underneath the cake to easily set it down with out any damage to the edge. Repeat this process for each tier needing to be stacked. Smaller tiers may not need the spatula because they are so small and light. If you have decided to stack on site, you are done! If you are traveling with a stacked cake you will want to add additional structure support. Take a 1/4″ wooden dowel rod cut just under the height of your cake and sharpen one end. A 1/4″ rod will fit in any standard pencil sharpener. Carefully push the rod through all tiers and cake boards. 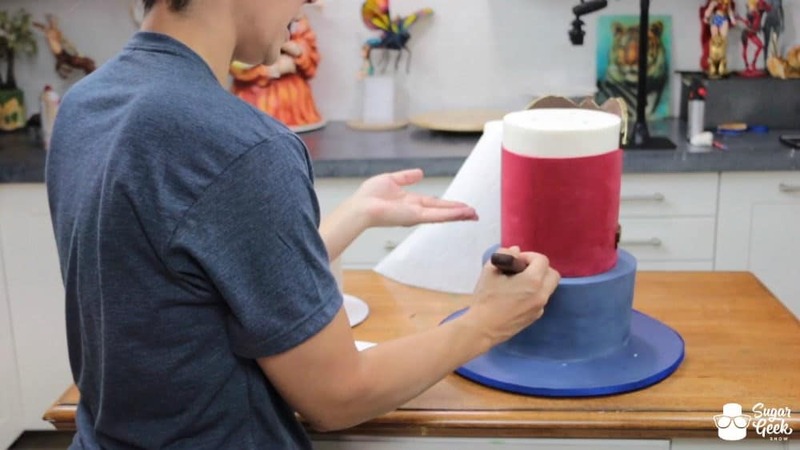 To get the rod all the way in without damaging the top of your cake, you will want to take another small rod, place it on top of the support dowel rod and finishing pushing it in. I actually like to hammer mine into the bottom cake board for extra stability. We’ve sharpened the rod so that it can easily pierce through the cake boards. 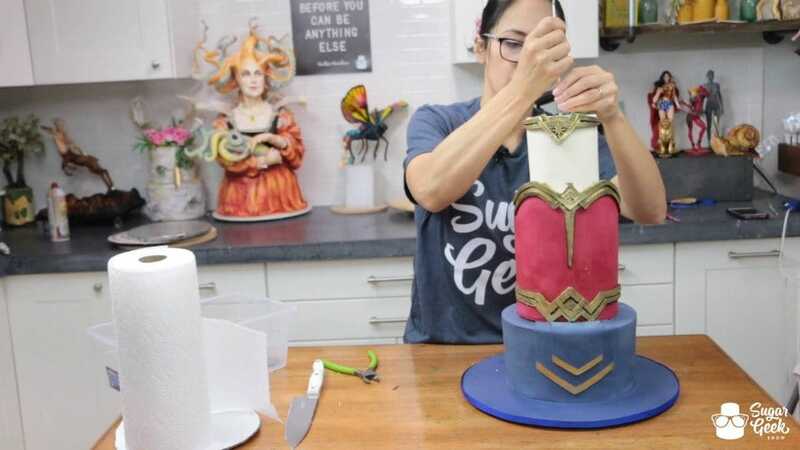 The support rod will leave a hole in the top of your cake that you’ll want to fill in with buttercream, fondant, or cover up with a decoration. Now your cake is ready to transport to the venue. Whether or not you stack on site or travel with your cake stacked is completely up to you and your personal preference. I prefer to stack before hand and travel with the cake that way, whereas Liz prefers to always stack on site. Either way we don’t recommend traveling with a cake stacked with more than three tiers. If I have a cake that is more than three tiers I will stack the first three tiers and travel with the others separate in boxes and stack the rest at the venue. I have never had an issue with any of the tiered cakes I’ve traveled with. They’ve always made it safe and sound, knock on wood. 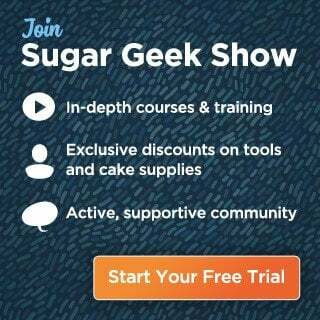 Hopefully that has cleared up any questions you might have had about stacking a tiered cake! As always, let us know if you have questions and we will do our best to help! Happy stacking!